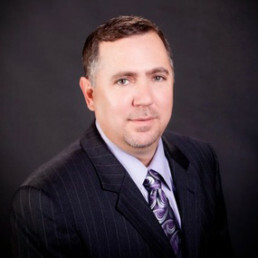 Patrick Sauter is the managing partner and principal of NAI Vegas. He specializes in investment sales and also oversees all company operations. Since joining the company in 1998, he has been instrumental in the sale of over $2 billion dollars worth of real estate. He is also active in community and civic affairs. Mr. Sauter currently serves on the board of the non-profit development company, Nevada H.A.N.D., and is a past board member of the Southern Nevada YMCA. He is a member of the Southern Nevada Multi-Family Association, the Nevada Development Association and the Las Vegas Chamber of Commerce. He holds a bachelor’s degree in real estate finance from the University of Nevada, Las Vegas and is a member of its alumni association.